What is it? 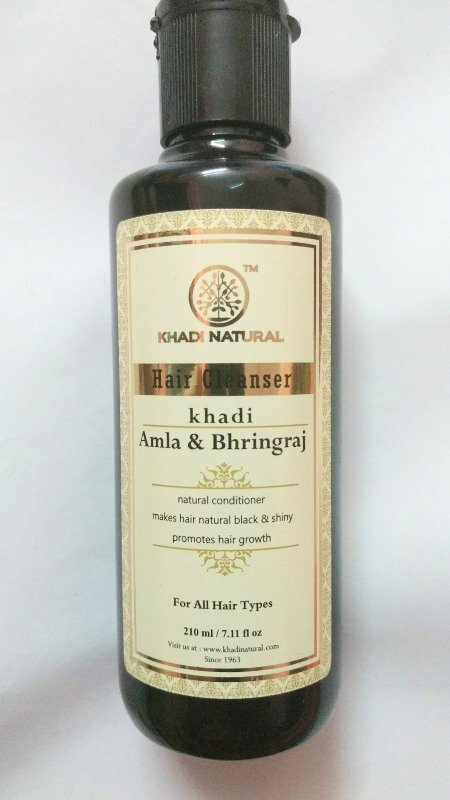 Khadi amla and bhringraj hair cleanser is basically a shampoo which helps naturally condition the hair and make it soft and shiny. It also helps in hair growth and it contains ayurvedic powerful ingredients like amla, bhringraj, and reetha. It is an ayurvedic proprietary medicine and it is clinically proven, who-gmp certified and gmp certified as well. It also contains neem, almond oil and harathki that helps in hair growth and helps keep the hair and scalp moisturized and hydrated. The new hair that grows is strong and healthy too. Packaging: it comes in a black bottle which has a flip top cap and the cap can itself be opened and this is again covered in another plastic cap for an extra product which makes it travel-friendly as well. The ingredient list has been mentioned on the package. Fragrance: It has the fragrance of reetha and it is pleasant. 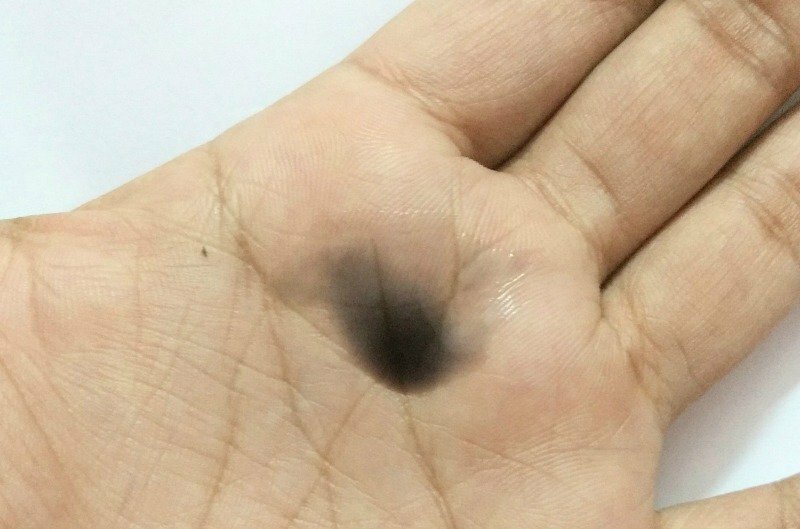 The smell remains for about 2 hours after the hair washes and then goes away. Of late, I have been seeing many great reviews about khadi products and the best part about this brand is that they use natural ingredients along with technology to give best products for our skin and hair. I recently decided to purchase some product from khadi and came across this shampoo which I found was pretty affordable as well. I purchased this from nykaa and started using it. After 2 hair washes, realized my hair is less frizzy now at the ends and it is shinier and manageable as well. I had little hair fall due to change in weather conditions and that has also reduced now, which is a great thing. So, I am basically impressed with this product. A little product goes a long way and makes the hair and scalp squeaky clean without making it too dry or itchy. It has a perfect blend of amla, bhringraj, reetha, harathki, neem and almond oil which helps promote hair growth and controls hair fall. It keeps the scalp hydrated and moisturized. I would definitely repurchase this product and recommend it to every kind of hair type. This product does what it claims and to a certain extent, helps reduce hair fall as well. It has naturally conditioning properties, hence you can skip your conditioner for once. It makes the hair shiny and avoids frizziness at the ends as well. Indulekha Bhringa Hair Oil Your Hairfall Messiah?